MOSCOW — Countries often issue travel advisories warning citizens of danger abroad: war, for instance, or a terrorist threat or an outbreak of disease. The Russian Foreign Ministry posted advice of a somewhat different nature on Monday, cautioning people wanted by the United States not to visit nations that have an extradition treaty with it. Extradition has frequently been a contentious issue between Russia and the United States, but the disagreements have been particularly sharp in recent months over the case of Edward J. Snowden, the former intelligence contractor who is wanted on criminal espionage charges but has been granted temporary asylum in Russia. In response to the demands by the Obama administration for Mr. Snowden’s return, Russian officials have said the United States has routinely ignored extradition requests from Russia. Russia has also complained about the arrests of Russian citizens by the United States or by other countries at the Americans’ request. In late July, a spokeswoman for the Russian Foreign Ministry, Maria Zakharova, criticized the arrest in the Dominican Republic of Aleksandr Panin, a Russian citizen wanted by the United States on charges related to cybercrimes. 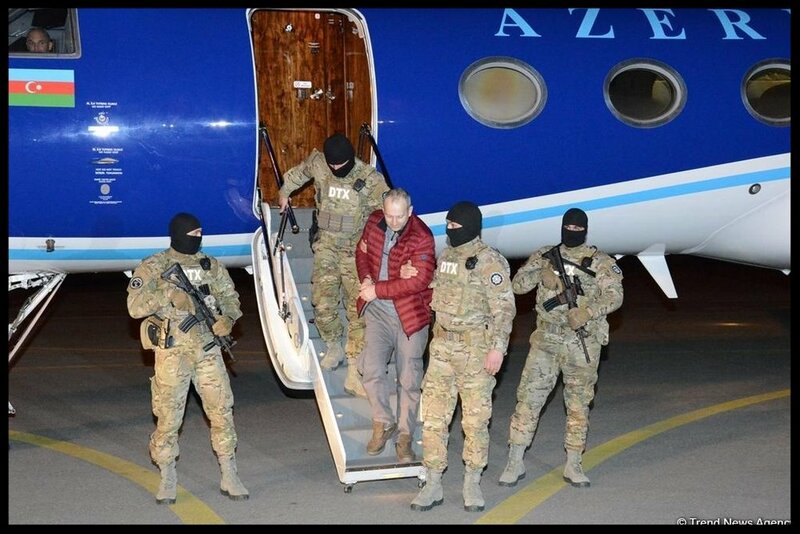 Ms. Zakharova said Russia considered such arrests “a vicious trend, absolutely unacceptable and inadmissible.” She said the Russian government demanded that the United States request the arrest of Russian citizens directly from Moscow, under a 1999 treaty on assistance in criminal matters. There is no formal extradition treaty between Russia and the United States. Russian officials cited the lack of such an agreement as a main reason they could not forcibly return Mr. Snowden from the transit zone of Sheremetyevo Airport in Moscow, where he lived for more than a month until his temporary asylum request was approved. Russia has often accused the United States of overstepping and potentially violating international law in its treatment of Russian citizens accused of crimes. It bridled over the handling of Viktor Bout, an international arms dealer who was arrested in Thailand in 2008 and was extradited to the United States, convicted in federal court and jailed in a federal prison. The United States has said that Mr. Bout’s arrest and extradition by the Thai government were legal, and that other cases have also been handled in accordance with international law. Besides the case of Mr. Panin, the Foreign Ministry’s travel advisory mentioned Maksim Chukharayev, who was arrested in Costa Rica in May in an investigation into a huge money-laundering operation, and Dmitry Ustinov, arrested in April in Lithuania and accused of smuggling American-made night-vision goggles to Russia for resale. The Foreign Ministry said Russian citizens could not expect to be treated fairly in the American justice system. “Russian embassies and consulates general logically give consular and legal help to Russians in trouble,” the Foreign Ministry said. An article on Sept. 3 about a Russian Foreign Ministry advisory warning Russians wanted by the United States not to visit countries with which the United States has an extradition treaty misidentified, in some editions, one such country, where a Russian, Dmitry Ustinov, was arrested in April and accused of smuggling American-made night-vision goggles to Russia for resale. It is Lithuania, not Latvia.